More than 70 percent of the Japanese Archipelago is covered by mountains: the country has more than 300 peaks over 1000 meters, and several ones under 1000 meters. Because of this, several amazing waterfalls can be found here. Four of these are taller than 250 meters, namely the Hannoki-No-Taki and the Shomyo-Daki waterfalls. 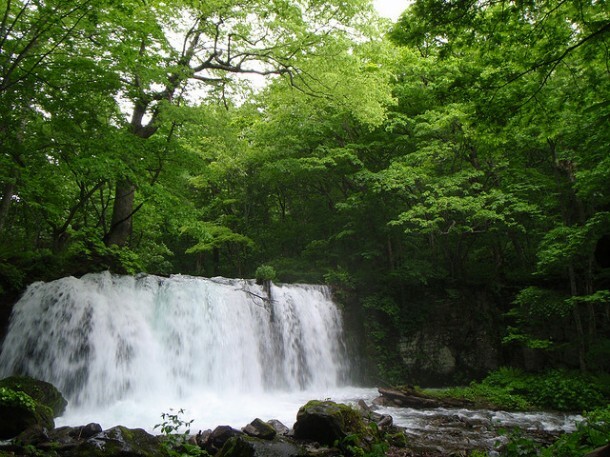 The waterfalls of Kairagi-No-Taki and Hagoromo-No-Taki are higher than 350 meters. According to the country’s information, Japan has 517 waterfalls which have name. Some of these are located in very remote parts of the country, but in my opinion the more remote the more beautiful a place is. I’m afraid that I am obliged to present these gigantic, dazzling and amazing Japanese waterfalls to you in the first step, and after that you should travel to Japan and take same pictures of these unforgettable phenomenon of nature. This article gives you some information about the tallest waterfalls of Japan. This waterfall is also known as Aunno-no-Taki. 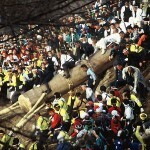 The height of Honnaki-No-Taki is approximately 1640 feet, (500 meters). For this reason the Honnkai-No-Taki is the highest waterfall in Japan. This waterfall is the most beautiful during Autumn, when the rainy season ends, and the rainwater swells Honnaki-No-Taki. 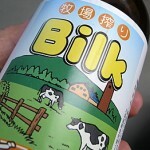 It is located in Toyama Prefecture. Honnaki is part of a twin waterfall, together with Shomyo Waterfall. 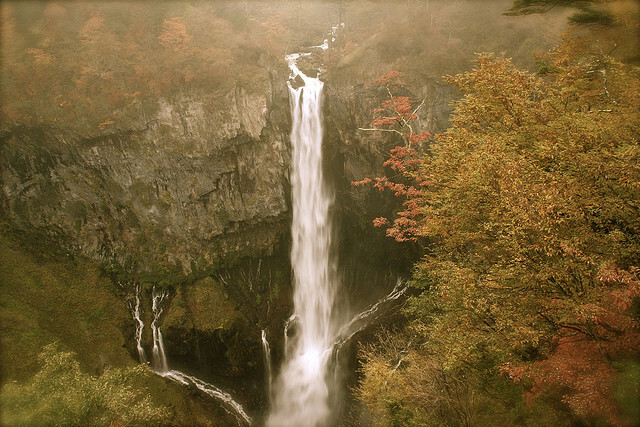 The Shomyo-Daki is the second tallest waterfall in Japan, with its 1148 feet (500 meters), after the Hannoki waterfall. They together form a twin waterfall, because they are close to each other. It has four parts, and the bottom of the fall has a diameter of 60 meters. 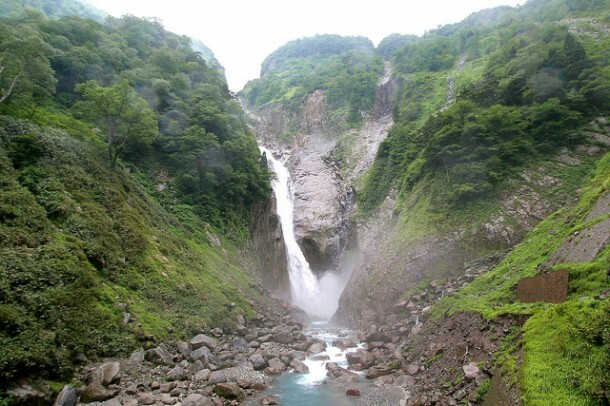 The Shomyo-Daki waterfall is also located in Toyama Prefecture, so with one travel you can visit two amazing waterfalls. The Kairagi-No-Taki waterfall located in Yamagata Prefecture and it is the third tallest waterfall in the country. The waterfall’s height is 886 feet, (270 meters) and it has three drops. Kairagi is part of a very amazing and stunning landscape, where the swashing of the waterfall completes the fabulous landscape. If you love nature indeed, this place really merits to be visited. With 820 feet (250 meters), Harogomo is the tallest waterfall of Hokkaido Island. The waterfall has two streams, Chuubetsu Kawa and an unnamed one. The name Harogomo means ‘feathered robe’, refering to the beauty and the amazing view of it. Due to the volcanic bedrocks, the water seems to be white as the snow. 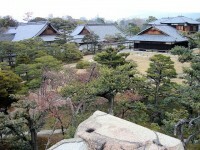 Hagoromo-No-Taki is located in the center of the island. I gladly recommend you this waterfall; once you visit it, you will never forget the amazing sights of the place.